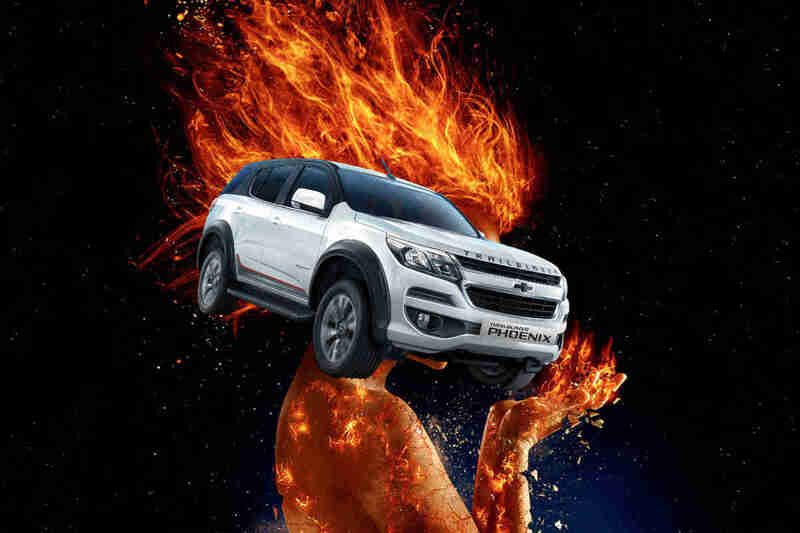 It may just be a coincidence, but the newest Chevrolet Trailblazer variant sure sounds like a tie-up with the latest X-Men movie. 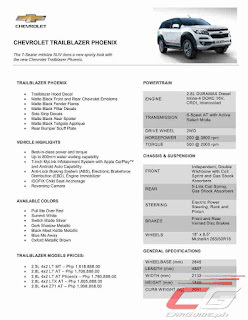 Shown at the Manila International Auto Show, the Trailblazer dons some aftermarket bits and rises as: the Trailblazer Phoenix. The Trailblazer Phoenix gains a front hood decal, side strip decals, a rear bumper scuff plate and lots of matte black stuff. 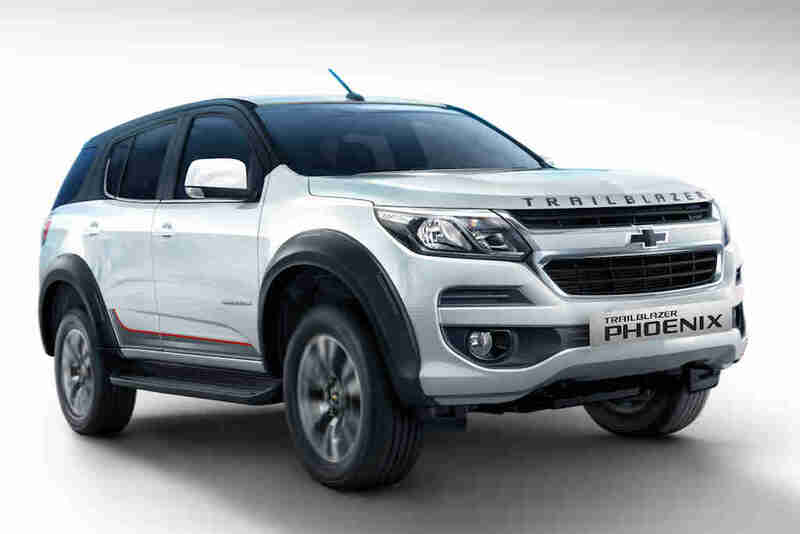 Yup, you’ll find the material everywhere from the fender flares, pillars, rear spoiler, tailgate applique, and even the Chevrolet bowtie emblems. Wow, they should have called it the Matte Black Edition instead, huh. Inside, it gets a leather steering wheel with infotainment controls and like other Trailblazer models, a 7-inch touchscreen infotainment system with Apple CarPlay and Android Auto. 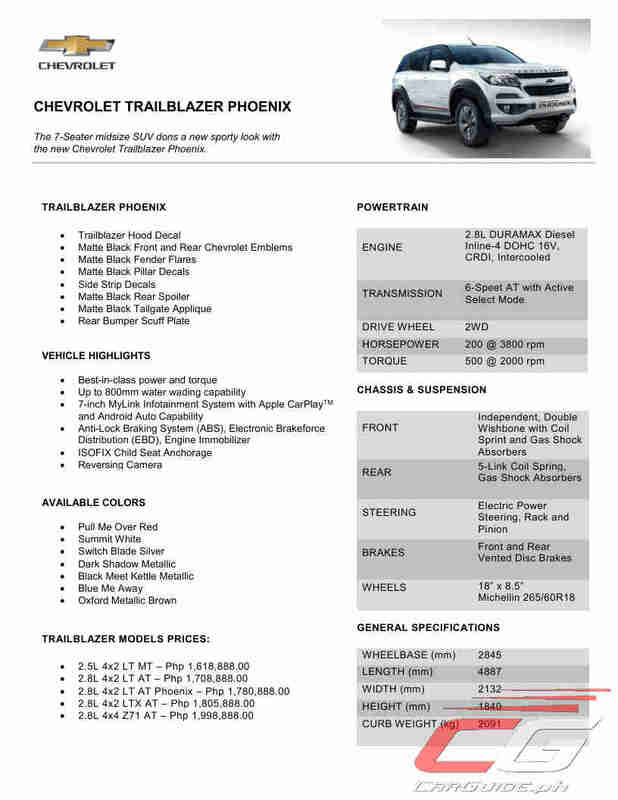 Since the Trailblazer Phoenix is a styling thing, the mechanicals remain unchanged: a 2.8-liter Duramax Diesel with 200 horsepower and 500 Nm of torque, a 6-speed automatic with active select manual mode, and an Electric Power Steering (EPS) system. Priced at P 1,780,888, the Trailblazer Phoenix rises up in 7 colors: Pull Me Over Red, Summit White, Switch Blade Silver, Dark Shadow Metallic, Black Meet Kettle Metallic, Blue Me Away, and Oxford Metallica Brown. Come to think of it, the name also sounds like a basketball team too.